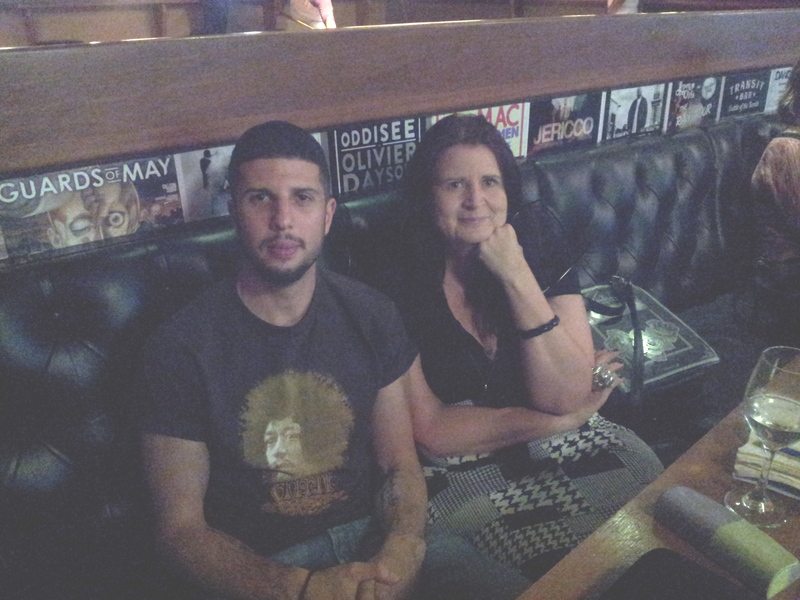 At least three of these were present at the Transit Bar on Sunday, where Kaveh the Unlikely Poet, Anthony Anaxagorou and a number of other poets performed their work. I was the judge of a women’s poetry slam, and six women performed their poetry, some of which were composed, or reworked, at an earlier workshop run by Anthony. How he was still standing, or even lounging, is beyond me, as he had finished another gig in Sydney at 3am the previous morning, driven to Canberra, and then done the seminar. Like an idiot, I was so busy concentrating on judging the poems that I didn’t take a photograph of the participants of that part of the night. I caused unintended difficulties for the organisers by awarding first prize to two women for their poems: Sarah Rice and Jacqui Malins. Both poems were about where the poets live in a sense: Sarah’s a direct and nuanced description of he physical home, and Jacqui’s about the need for a genuine acknowledgement of the first inhabitants of Australia. Both were excellent. Anthony and Kaveh are both poets who refuse to draw an easy line between political awareness and the poetic. These two realms are inseparable; truly borderless. Neither has much in his too-hard basket, either! Many thanks to Kira and Jessica, the organisers, for allowing me to participate in the evening through judging. The photo I took of Kaveh was too appalling for me to post, but a somewhat more competent person took that one of Anthony and myself at the top of the post. Melinda, for other readers, is shortlisted for the PM’s literary awards in the poetry category. The announcement will be made tonight. EXCELLENT! Melinda was awarded the poetry prize. Quite intense at times, Norah, with so much directed energy and thought. Is that a type of fun? I certainly enjoyed myself, particularly once the judging was out of the way. That sounds good – and great news about Melinda – congratulations!